22.10.2018: Team Møller Bil from Norway ended the VLN Endurance Championship Nürburgring season by scoring a second place. 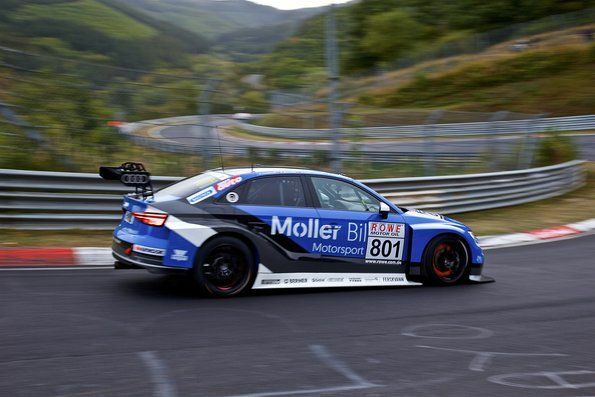 Team Møller Bil from Norway ended the VLN Endurance Championship Nürburgring season by scoring a second place. Håkon Schjærin/Atle Gulbrandsen/Kenneth Østvold in an Audi RS 3 LMS finished on podium of the TCR class in the finale. As a result, the three Norwegians have been determined as the 2018 runners-up in the TCR classification of the series in which 42 entrants are classified.